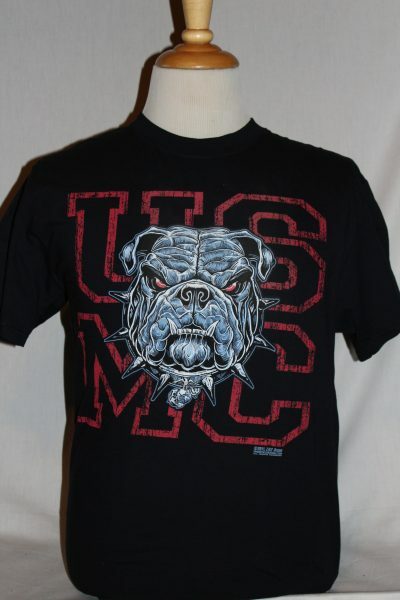 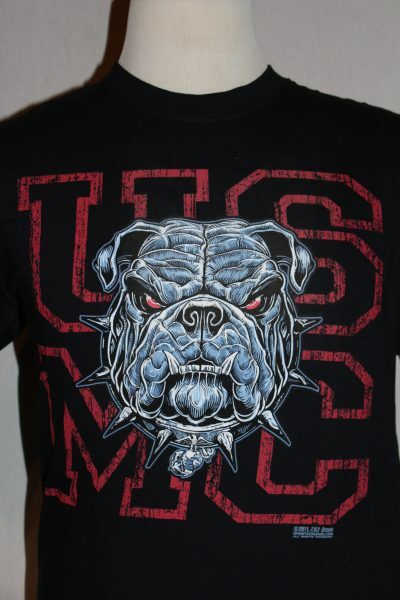 The Dress Blue Bulldog shirt is a two sided print in the color black. 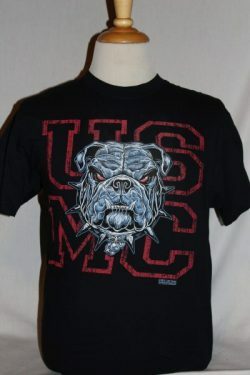 Front Design: Bulldog with emblem and text. 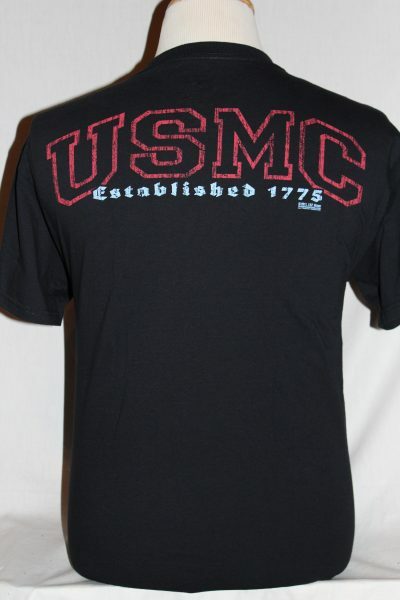 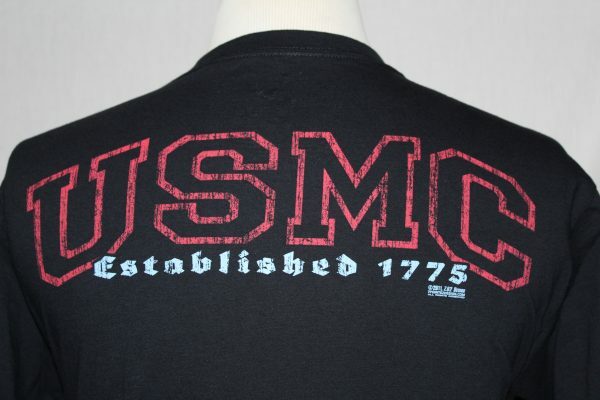 Back Design: USMC text.